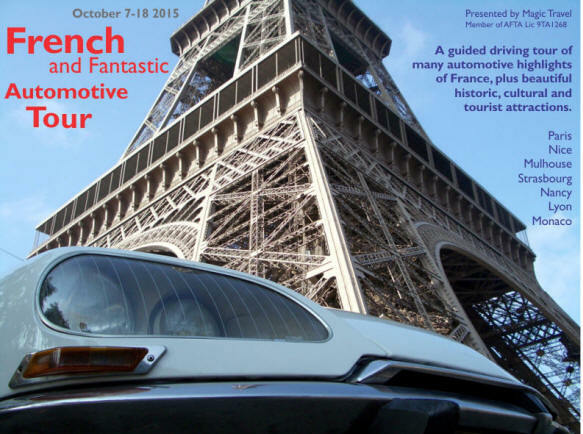 In October 2015 Paul Blank lead a group of Australians on a wonderful French car adventure which he'd planned. Here's some of the details and a big photo gallery. Our participants enjoyed two wonderful weeks full of fascinating cars, culture and enjoyable company. 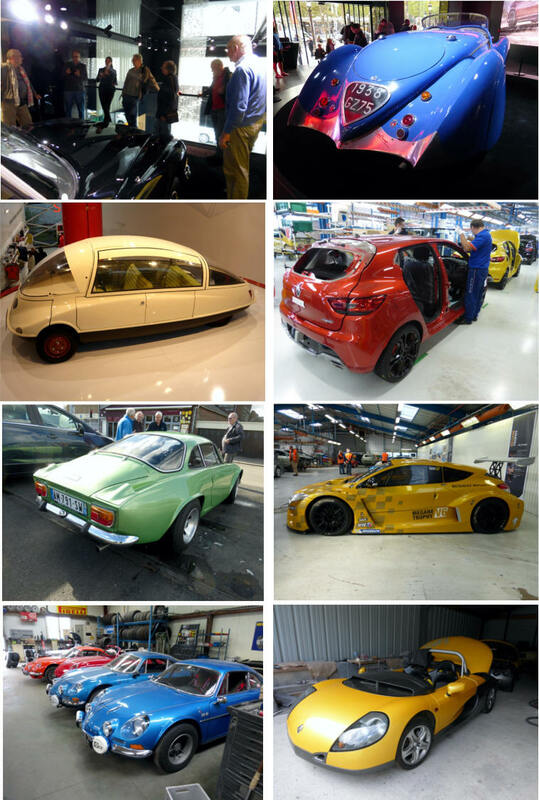 In October I hosted a tour group in France, visiting automotive sites and sights. In addition to me, only on club member joined the group, Robin Thomas. We had others from South Australia, the ACT and Darwin with us. Well known author and motoring journalist Jon Pressnell, who is based in France, joined the group adding great insight from his immense knowledge. Beginning in Paris we visited the new DS World showroom, where I’d arranged a guided tour by a young lady who spoke English well. Highlight for many of us was a 1972 DS Prestige, which was originally delivered to the Minister for the Interior - complete with glass division and telephone... The new DS 5 had just been launched and the first car came into the showroom the day we were there. Later, we visited all the car showrooms on the Champs Elysees - always plenty of interest. The following day we’d initially planned to visit Renault’s collection, which isn’t open to the public, but they’d decided at the last moment we could not go... So after some planning a few days prior to leaving, we took a trip out to Dieppe, where Alpine is based. First, we met an Alpine senior executive who’d been with the company for decades and had been in charge of setting up the plants to build the A110 in other countries, including Mexico and Bulgaria. He arrived to our lunch in his beautiful metallic green A110 1600SX, which was the last A110 to have been built - he’s owned it from new and it’s untouched, never been restored. Next we went to the Alpine factory (I’d had to assure the staff prior that we had no industrial spies amongst our group - seriously). Work is under way on the development of the new Alpine sports car, but we couldn’t see it. They’re not really set up for groups of visitors, but nevertheless gave us a wonderful tour of the factory. Under construction were Clio RS cars - they arrive as empty, bare shells and are completely hand-built at Dieppe. I was thoroughly impressed. 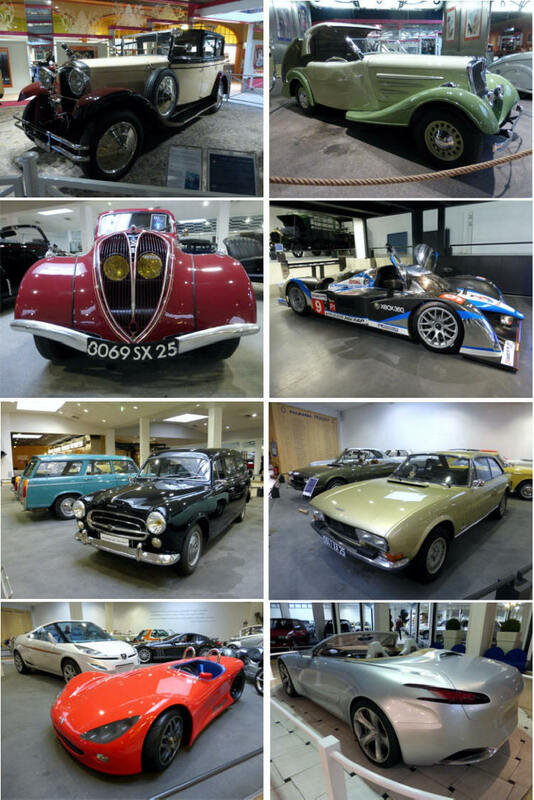 We toured the workshops where competition cars are built, saw the Bollore electric cars assembly lines and looked at the collection of classic Alpines, race and rally cars and Sport Spiders. All great stuff. 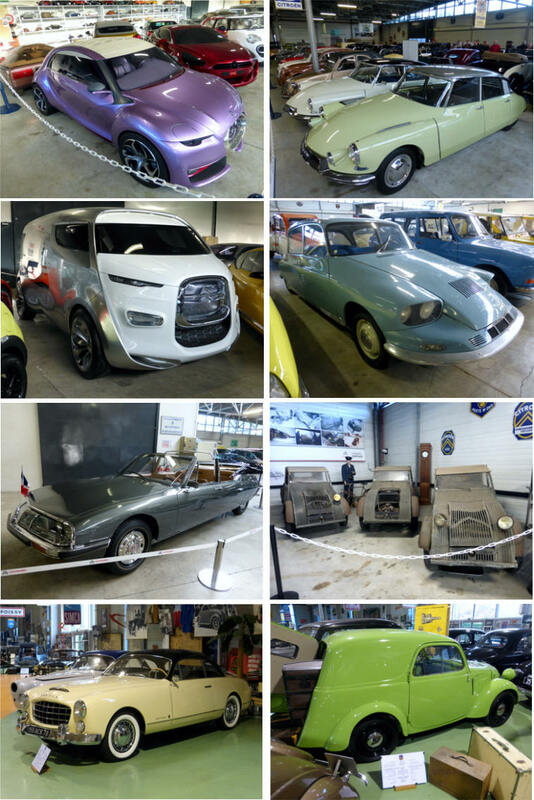 We were lucky enough to visit Citroen’s vast collection and have free run of the place. They have hundreds of cars from the earliest production models to the most recent concept cars and models made in factories in far flung places (like China) as well as a huge collection of competition cars of all ages. Many unusual prototypes kept everyone fascinated. Jon and I talked the participants in our group through some of the history and significance of many of the cars. The DS fitted with a supercharged 1800cc 2-stroke, 4-cylinder engine was one I hadn’t seen before. 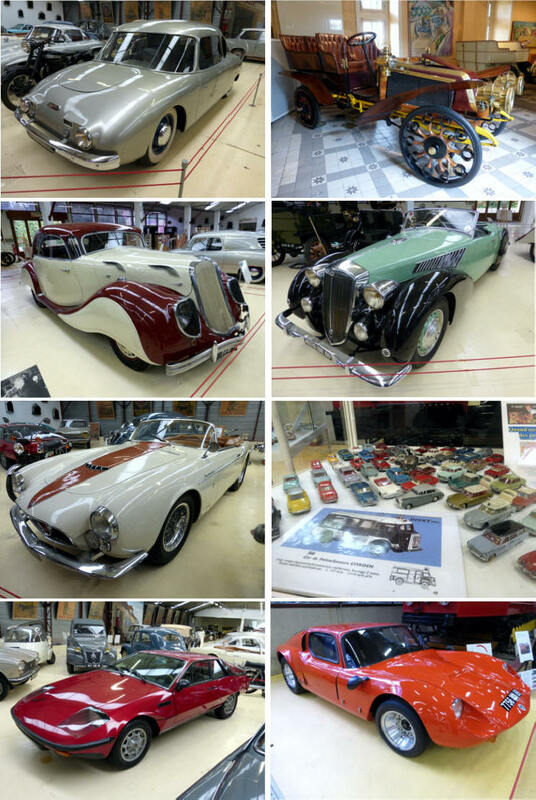 While in Paris, we took another trip out, to the CAAPY collection, which is based at Peugeot’s plant in Poissy. This was originally Simca, the Ford of France, then Chrysler and eventually PSA - and the collection covers all these cars. There is a lot to see, from Fiat-based Simcas through Talbot Lagos, Facel-bodied Ford V8 Cometes, later Talbot models and so much more. 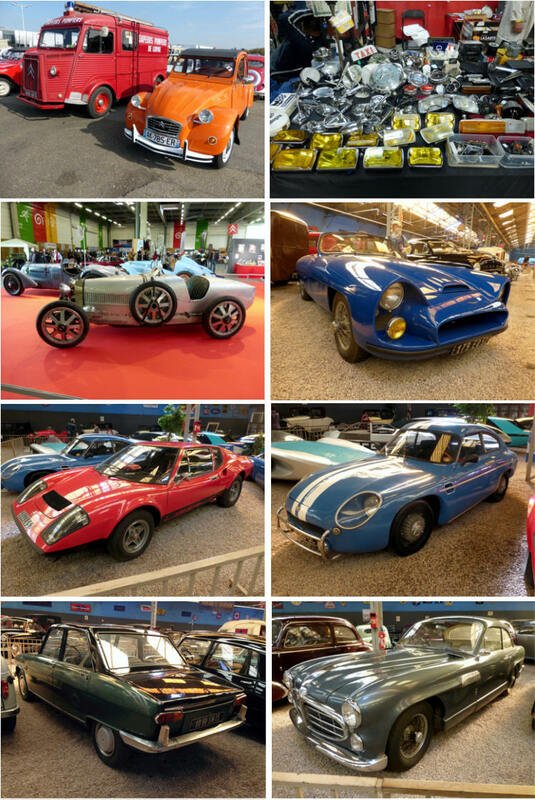 There were some unique prototypes I’d never seen photos of and lots of automobilia and items from the factory, particularly connected to Simca. I’d never been there before and found it fascinating. 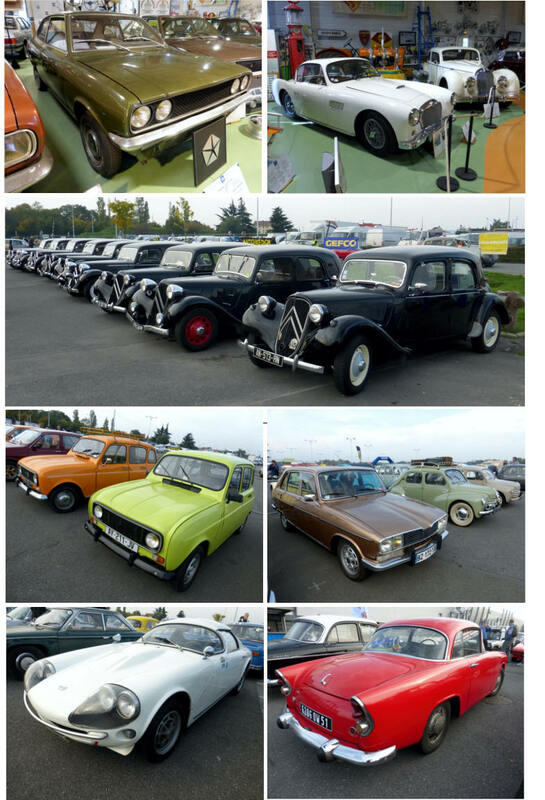 Our last major activity (aside from sight-seeing in Paris) was a day at the fabulous Automedon classic car show. I’ve had the good fortune to attend a couple of times before and knew we were in for a treat. One clever thing the organizers do, is make the closest carpark open to pre-1975 cars for free parking. 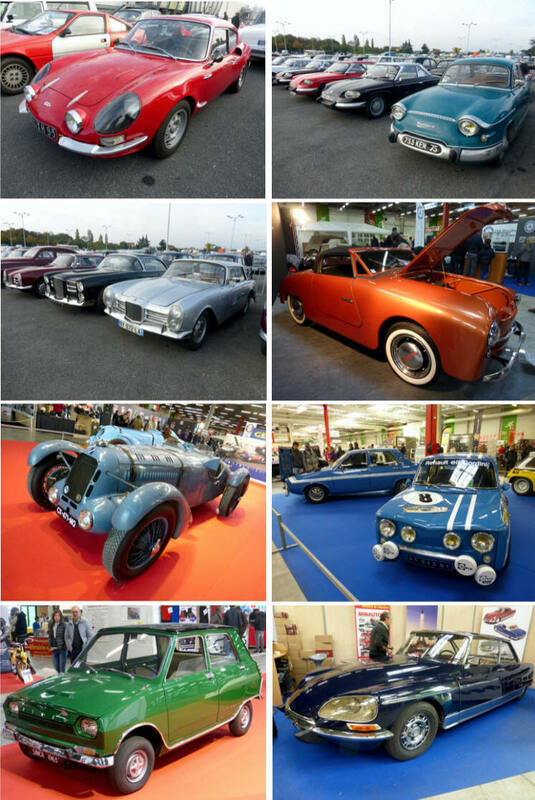 So about 1200 classic cars, the bulk of which were French, streamed in. One of the people in our tour group was so impressed by this, he thought that was the whole show - he was staggered when he realised there were hundreds more displayed inside the building! The displays included some amazing cars. And the traders had such incredible arrays of parts, accessories and automobilia. We were (mostly) limited by our luggage space, though one participant bought another suitcase to carry home the plethora of parts and goodies he bought at the show. I found about 20 model cars and some excellent old sales brochures. I also caught up with the Amicale Facel Vega club people (for which I’m the Australian representative). It was a tiring day and we all had overload of car stuff, but agreed it was a brilliant event. The next day it was time to hit the road, leaving beautiful Paris behind us. Some of our group had never been to Paris before and had fallen in love with its many charms. We drove to Reims, saw it’s famous cathedral and more importantly for us, the Phillipe Charbonneaux Museum. He was the designer of the Renault 8 and Renault 16, as well as a good many other vehicles, and was a prolific collector, setting up his museum in the 1970s. There were some very impressive cars on show. Our first overnight destination as we headed East was Nancy. There we dined at a restaurant in the old town centre close to our hotel. The waitress spoke English quite well. It turned out she’d been an exchange student living in Manjimup, and had recently visited again. Small world. 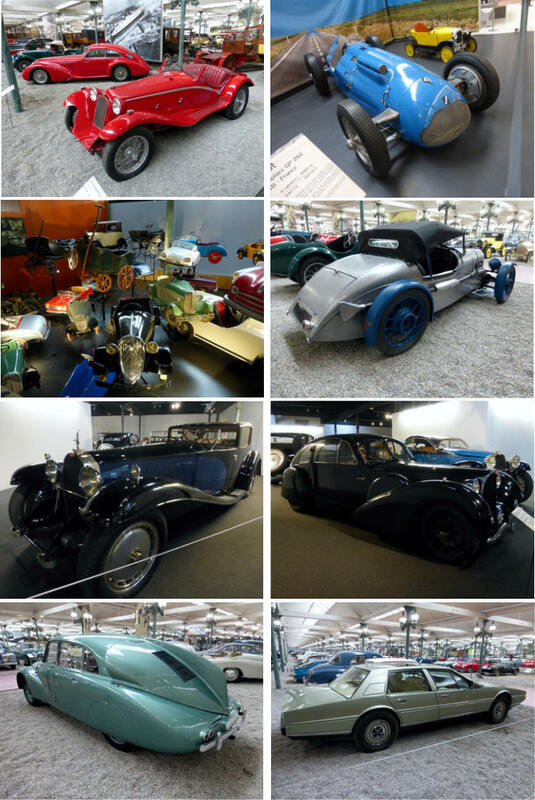 It wasn’t a long drive he next day to Mulhouse, which houses the famous Cité de l’Automobile, better known to many as the Schlumpf collection. I’ve been there many times, but never fail to be impressed. There’s always a few new cars too. If a collection of many hundreds of amazing cars including over 100 Bugattis doesn’t get you a bit excited, then your blood is too thick! 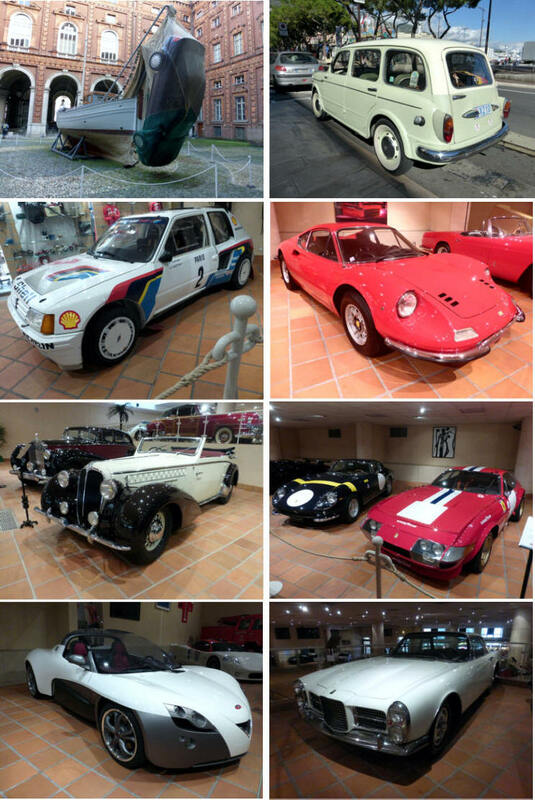 We then went to Sochaux to the Peugeot museum l’Aventure Peugeot, which I’d never managed to get to before. It was well beyond my expectations. An extremely good array of cars, all beautifully presented. All eras of cars were very well covered, in addition to a big display of other Peugeot products from hand tools to kitchen appliances to rifles. We next headed to Lyon and stayed in a very lovely hotel in the heart of the old city. We were in Lyon to see the Henri Malartre Museum, which houses much of the collection in a 3-storey Chateau overlooking the river. There’s also a purpose-built museum building on the site, so well over 100 cars are displayed - some of which are very rare and spectacular machines. Well worth a visit, as is Lyon. Some time before leaving Australia ‘d offered two options o the tour participants for which way to get to the French Riviera after leaving Lyon. One was to go anti-clockwise through Marseilles and Provence, the other alternative would be to go clockwise, into Italy, having a night in Turin and then head south to France. Unanimously the group picked the Italian route. I agreed, this was the far more interesting way to go - through areas I’m very familiar with. 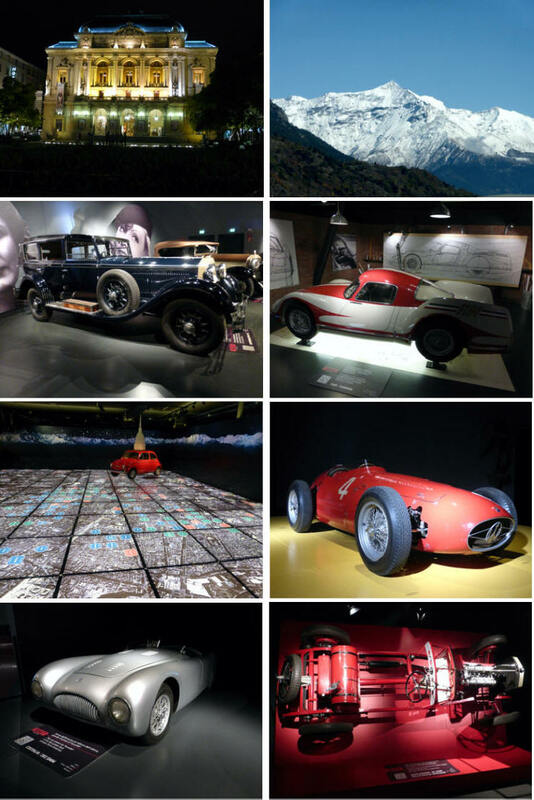 Turin is home to the Museo dell Automobile, which recently had a 40 million euro refurbishment, and is truly world-class by its layout and content. Everyone was impressed. Not surprisingly, it featured a strong Italian car emphasis. We toured the expansive historic old town centre and looked at the old Lingotto Fiat factory (with its rooftop test circuit). Back on the road we crossed the Alps (some major tunnels included). Italy had been fairly cold and as we got to the heights of the mountains, there was a little snow. Some of the greatest driving roads were enjoyed on this drive, with fabulously diverse scenery. From snow to the sunny French Riviera beaches in a day. Our destination was the South of France. We stayed in Nice, but also visited Monaco and Villefranche sur Mer. Monaco offered us the Royal Family’s car museum, which is little-known, but houses a very impressive collection of vehicles. And of course the streets of Monaco have many wonderful cars too. It’s a beautiful place and was appropriate for the final day of our tour. All too soon two weeks away had disappeared and it was time to head home - with some unique memories and good new friendships.